All students write a 4,000 word essay on an IB subject of their choice. In consultation with a supervisor, students decide on a particular area of study and a focused research question. Students conduct extensive research and then write up their investigation, analysing and evaluating their findings. 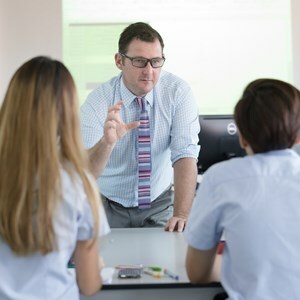 Through this process, students learn how to research effectively online and elsewhere, how to build a convincing argument, reference work correctly, produce a bibliography, edit and re-draft work and present a formal academic piece of writing. All students participate in the CAS programme. They are responsible for creating their own programme of activities over the two years with a balance of creativity, action and service. Creativity - Exemplar projects include: performance or set design for a school theatre production; creating posters for school events; learning a musical instrument; making a video or presentation; writing articles for the school newsletter; debating or Model United Nations Conferences. Action - Exemplar projects include: competing in a regional sports’ competition; outward bound activities such as kayaking, white-water rafting, hiking; International Award expeditions; learning new sports such as diving or sailing. 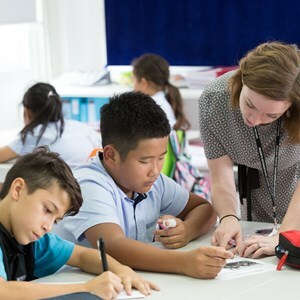 Service - Exemplar projects include: teaching Thai children English in a local school; running an After School Activity; conservation and environmental work such as mangrove planting or beach cleaning; fundraising or helping out with local charities / partner schools. Students learn to face new challenges and take risks in a safe and supportive environment. They develop a sense of responsibility and learn the importance of community. They learn problem-solving skills and the importance of reflection. To what extent has the development of technology been a limiting factor within Natural Sciences and The Arts? To what extent does the relation between emotion and memory override reason in influencing our understanding? How does faith influence the acquisition of knowledge in different areas of knowledge? What role does language play in shaping identity? Is reason more powerful than emotion in the Ethics? 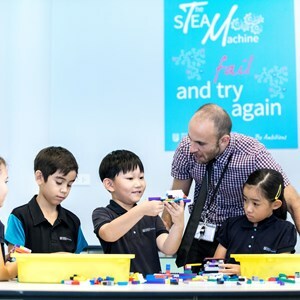 All students have to take part in a group science project comprising 10 hours of practical investigative work in their particular area of science. This forms part of the Year 13 residential trip to Khao Yai National Park. Students are given a general topic from which they have to come up with their own area of investigation and design their own experiments. 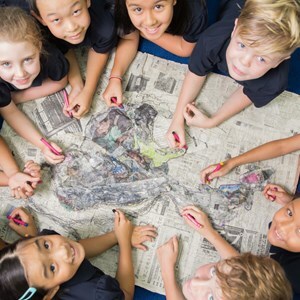 This year’s overarching title was “Human impact on the environment.” Students worked collaboratively in small groups, firstly coming up with a hypothesis, planning their equipment and method, then collecting evidence, recording results, analysing their findings and forming a conclusion related to their original hypothesis. Students finally presented their investigation and their conclusions to the other groups. Students developed their team-work and had to think creatively to overcome problems. How does the flow rate of water in the river affect the plant life found in the river beds? What effect do the levels of dissolved oxygen in the river have on pollution indicator species such as the Mayfly nymph? There is no doubt that boarding life can contribute to the creation of young adults with advanced learning skills. Boarding removes the need for commuting to and from school, allowing students to manage their time more effectively; and the boarding houses also give senior students the space and privacy for study which can sometimes be lacking at home. Boarding also provides students with additional preparation for university life, acclimatising them to the communal living which they will experience in university halls of residence.